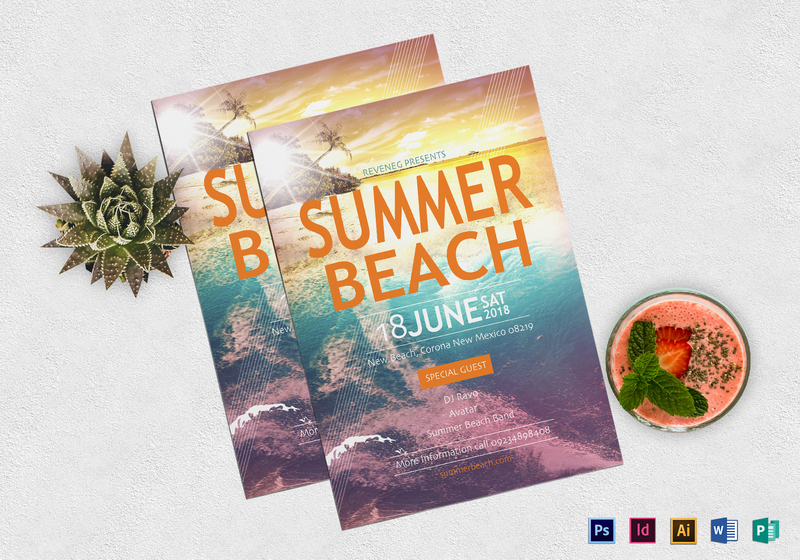 If you’re having an epic summer beach party or event then you would need this summer beach flyer template. 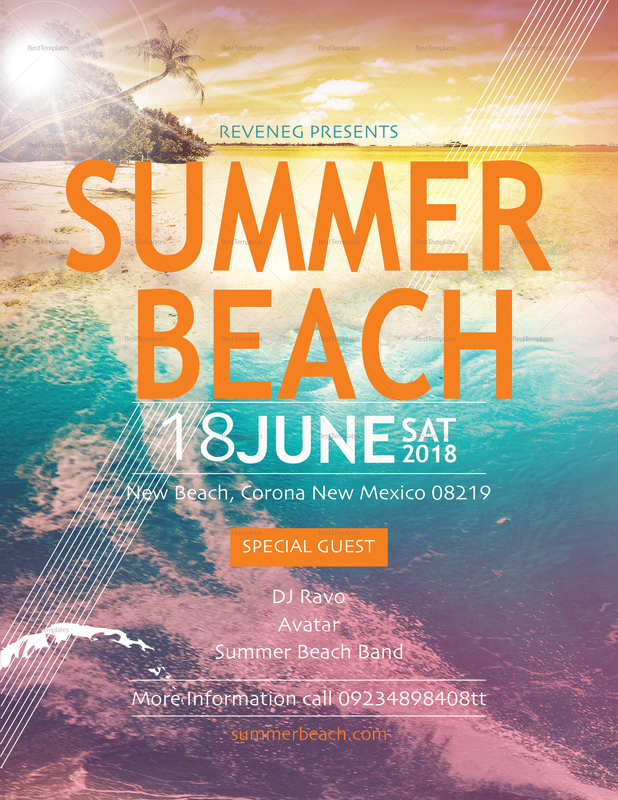 Get those party people coming with its spectacular design, eye-catching photos and layout that are highly customizable. Content is easy to edit too with all versions of Photoshop, InDesign, Illustrator, MS Word, and Publisher.